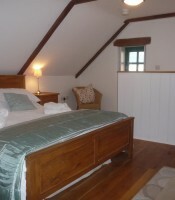 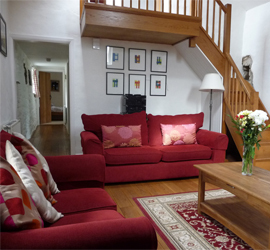 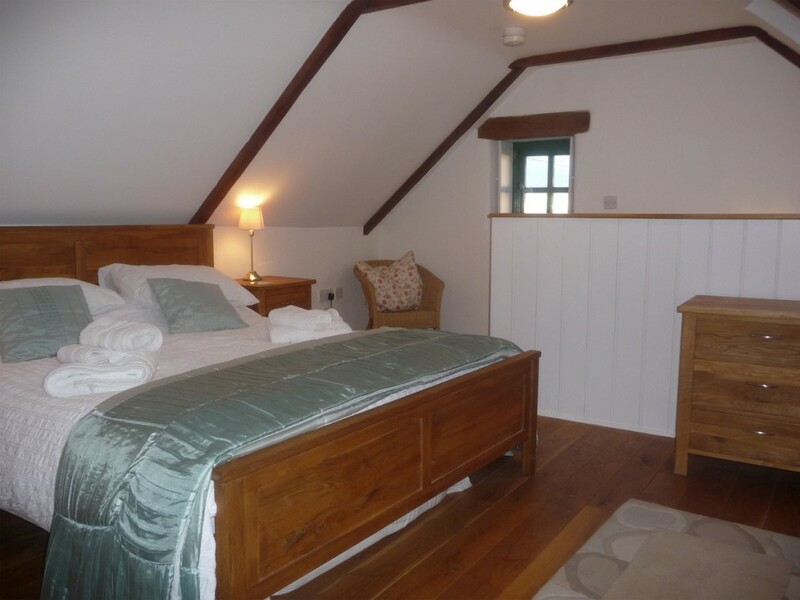 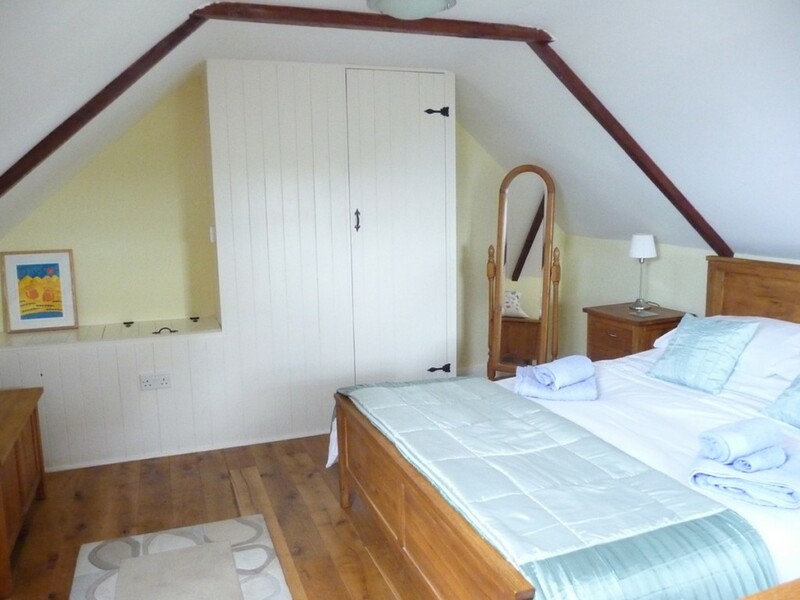 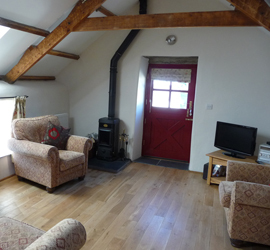 Bwthyn Bach (Welsh for ‘small cottage) sleeps 2 (plus cot) in a king size bedroom on the first floor. 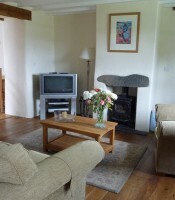 The contemporary living room has an oak floor and a wood-burning stove, colour television with Freeview, video recorder, DVD player and sound system. 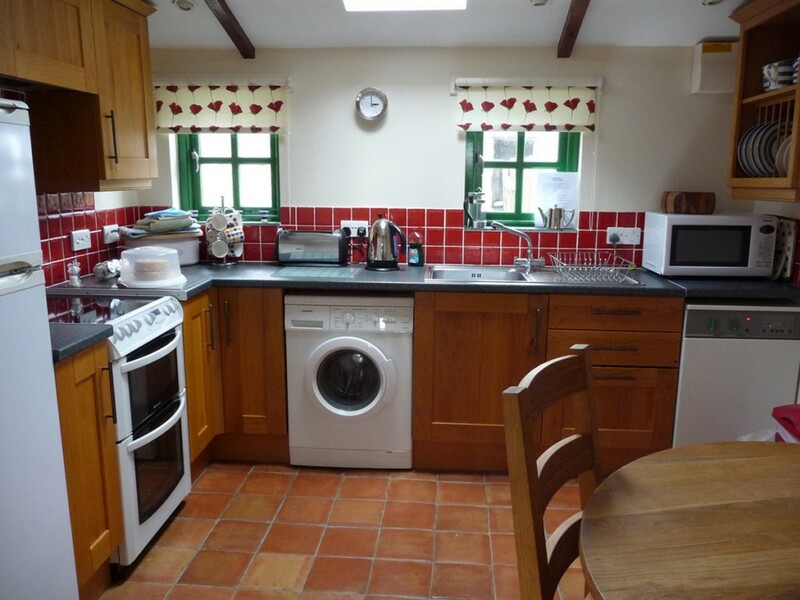 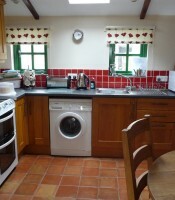 The pretty kitchen/dining area has an electric cooker, microwave cooker, fridge-freezer and washing machine. 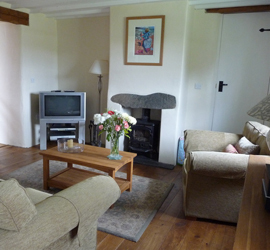 There is an enclosed lawned garden with wooden patio furniture. 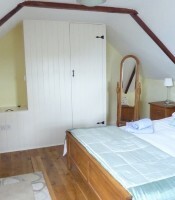 Secure off road gated parking for one car. 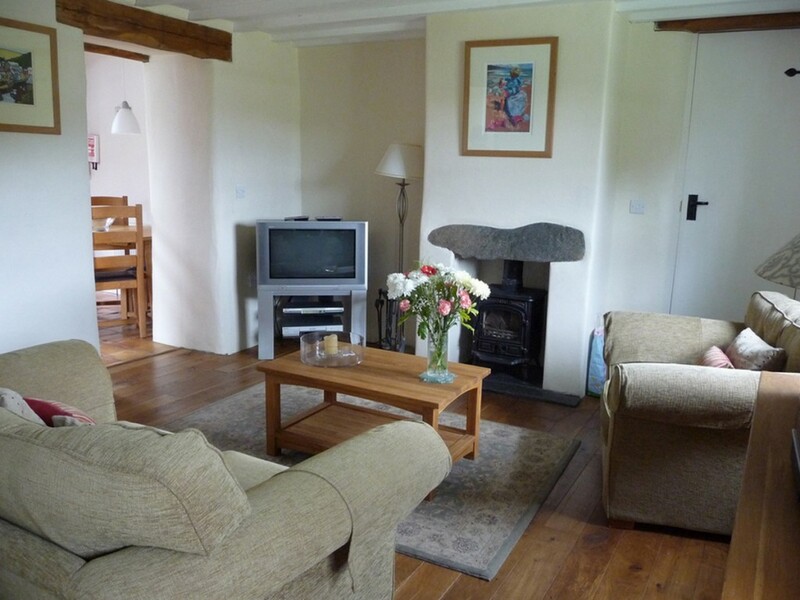 WiFi broadband is provided free of charge.